Last edited by Ruf964; 04-17-2013 at 05:14 AM. Last edited by Ruf964; 01-19-2013 at 08:29 AM. i've seen some low numbers across the thread. can anyone shine a light what's a realistic number for a 94 C4 Widebody car? 30k miles in good condition. 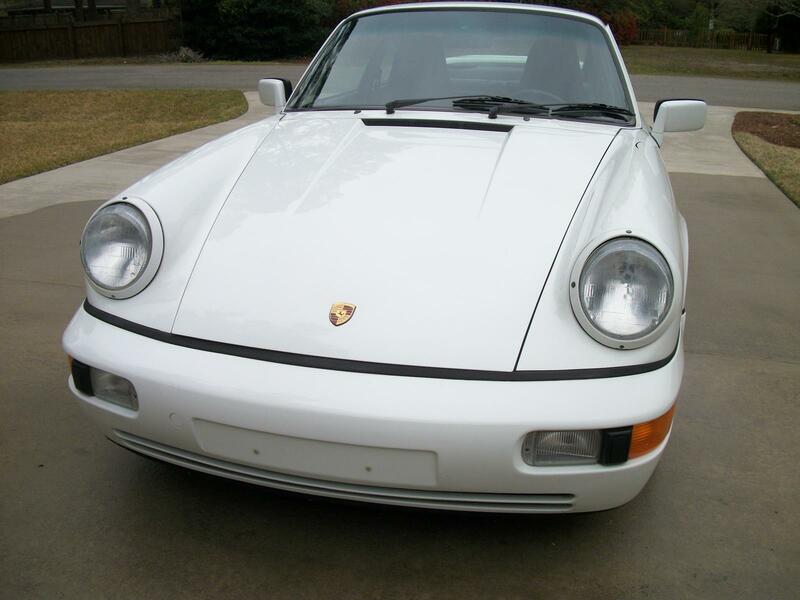 I bought my second Porsche after the death of my first, pseudo-Porsche 924 in 1988... Have drooled for the majority of my life for a 911... got 964 October of 2011..
Prices seem to be slowing going up. 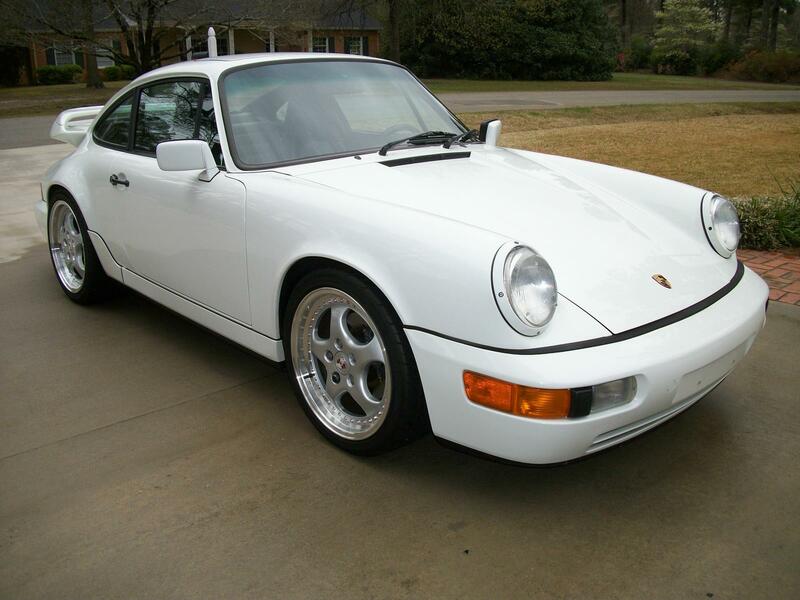 A good 964 is so hard to come by now. any aftermarket accessories that came with the car (including but not limited to wheels, suspension, exhaust, seats, stereo, mirrors, pedals, steering wheel, etc. ): Original except for aftermarket stereo (since replaced again by me). your assessment of the vehicle history in terms of paperwork/receipts (1-10, 10 being highest): 10, all receipts going back to original owner. 5th owner, but car has been cared for at each stop. New paint a few yrs back (~$14K), still looks very fresh. I have a binder full of receipts dating back to the original owner. Currently enjoying the upgrade process! your assessment of the mechanical condition of the vehicle (1-10, 10 being highest): 7 - has oil leak from PS drive and Cam O-rings (so says PPI, but I haven't climbed under it yet), but drives great. Your assessment of the vehicle history in terms of paperwork/receipts (1-10): 6 - Missing some repair records but history better than most. Your assessment of the interior quality (1-10, 10): 9 - Some creases in the leather but not even appreciable side bolster wear on the driver's seat, which is rare, esp. for sports seats. 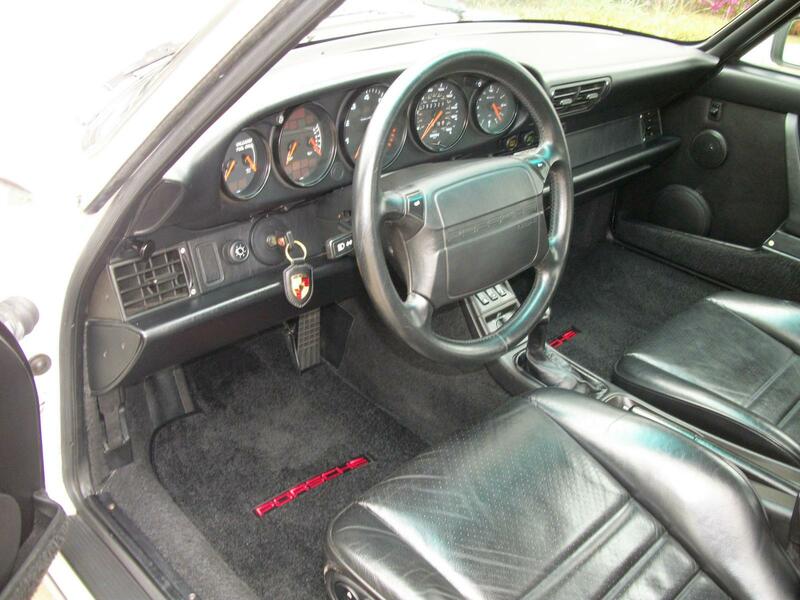 Perfect dash, carpet, etc. Needs new floor mats. Your assessment of the exterior quality (1-10): 7 - Two rust spots in bottom of windshield gasket (new windshield and gasket to be replaced, with proper repairs made), stone chips consistent with mileage. Aftermarket spoiler has got to go! All lights and lenses very good. Your assessment of the mechanical condition of the vehicle (1-10): 9 - Car runs and drives very well. Bottom of motor is a little wet, but no leaks. PO replaced most oil hoses. Needs new sound deadening pad and motor mounts (in process). I'll probably have $20K in this car when I finish but all the issues will be sorted. EDIT: I'm just starting to figure out how to post photos here. Sorry for the large size, but here are some pix of the car, before she went to the body shop for mounting GP white RSA spoiler (courtesy of Nathan1 on the board), front bumper cover respray/new smile, etc. Last edited by gray635; 05-15-2013 at 11:59 PM. An absolute steal. 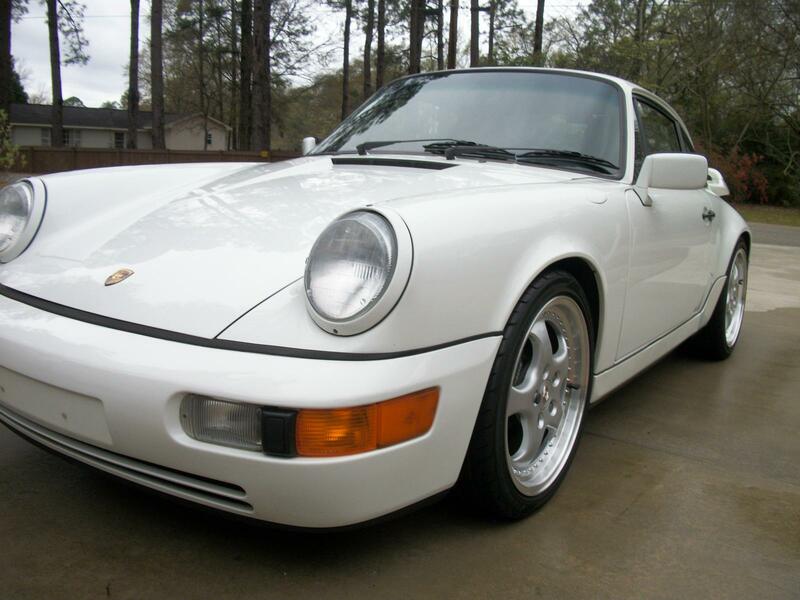 The 964's time has come. Wow! That makes me feel good - the details almost exactly match mine - that price would make me very happy indeed if I were ever to sell - which I won't of course. I'd be interested to know the VIN no. - pm me? 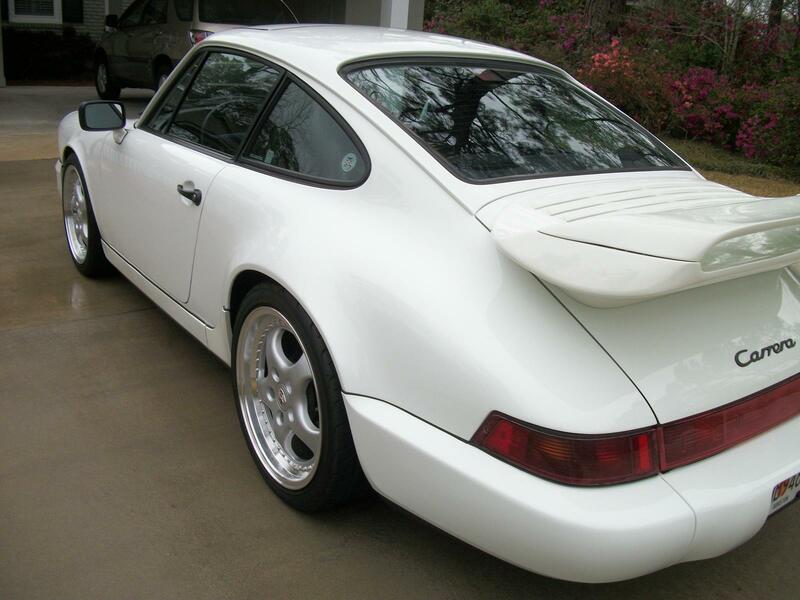 Congrats on the car - the best of the 964's IMHO. any aftermarket accessories that came with the car (including but not limited to wheels, suspension, exhaust, seats, stereo, mirrors, pedals, steering wheel, etc.). No totally stock. your assessment of the mechanical condition of the vehicle (1-10, 10 being highest) 10 No Leaks, new belts and clutch, and new hoses and wiring. $15,000 spent prior to purchase by seller. No corrosion at all. Looks like the car has never been wet. Brand new tires. This is one incredible car. Is there a spreadsheet of all this anywhere?